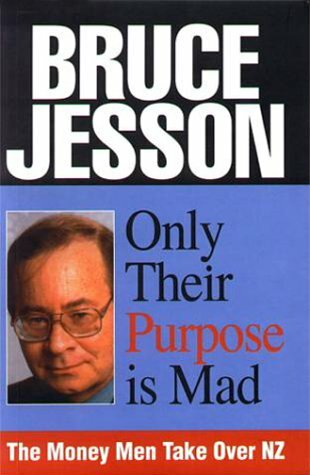 In today’s media world of celebrity and “click-bait”, the Bruce Jesson Journalism Grants are deliberately seeking something different. The grants, now open for applications in their 13th year, aim to fund “critical, informed, analytical and creative journalism or writing which will contribute to public debate in New Zealand on an important issue or issues”. In the past 12 years they have part-funded books on inequality, on New Zealand’s role in the US “war on terror”, and on the abdication of corporate and political responsibility that led to the deaths of 29 miners at Pike River. They have helped to finance Jon Stephenson’s award-winning reporting from Iraq, a documentary on New Zealand’s climate change policies, investigative articles on rest homes, and a report on how the welfare system treats beneficiaries in domestic relationships. The latest grants last year supported a new documentary on New Zealand’s role in the US-led global surveillance network, and a report on the feasibility of the Auckland Council adopting the Living Wage. The grants are unique in New Zealand because they fund time and research costs of up to $4000 in advance. Applications for the 2016 grants and student journalism prizes are now open, and close on Friday 9 September. Grant applicants should submit an outline of their proposed project and explain how it meets the criteria set out the Jesson website www.brucejesson.com. It is usual to submit references and/or examples of previous work, and a budget for the project. The separate Emerging Journalism Prize for student journalists offers $1000 for “outstanding recent work by New Zealand print journalism students.” It is nominated by the heads of New Zealand journalism schools or journalism programme leaders for work by student journalists published between the closing date of last year’s award, 18 Sept 2015, and this year’s closing date 9 Sept 2016. Entries for both awards will be assessed by members of the Bruce Jesson Foundation’s Journalism Sub-committee: Simon Collins (convenor), Joe Atkinson, Bryan Bruce, Geoff Kemp and Nicola Legat. The committee’s convenor my be contacted here. Applications and nominations can be submitted online through the Jesson website or by mail.